Brandon Black was born July 7, 1991, in Kansas City, Missouri. Early in his youth his father introduced him to artists like Ramsey Lewis, Michael Jackson, Grover Washington, The Doobie brothers and many more. At age six, he began piano lessons with Doris Owens at the local church. He quickly learned classical songs by popular composers like Bach, Beethoven, and Mozart. It was during these piano lessons that he discovered his love for music. Throughout middle and high school Brandon always participated in school plays, talent shows, chorus, marching band, jazz band and even began using music production software such as Protools and FL studio. His high school music director, Mrs. Jackson, decided to video record him playing piano and send it to colleges in hopes of finding scholarships. Not long after, the University of Arkansas at Pine Bluff offered him a music scholarship. He enrolled, joined the concert choir and began studying Music - Audio production, emphasized in piano performance. He devoted his college career to development as a musician, audio engineer, Phi Mu Alpha Sinfonia, education, and above all God. 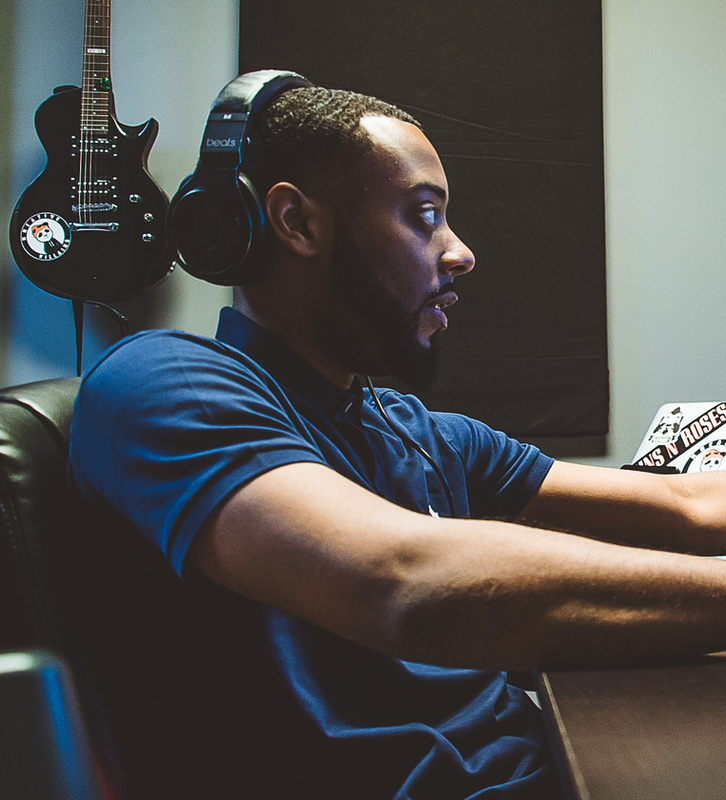 Upon graduation in 2014, a childhood friend gave Brandon the opportunity to move to Atlanta, and get a start on his career as a professional musician. Shortly after moving to Atlanta rapper CyHi The Prynce gave him his first opportunity to work as a producer and musician under a major label (Sony Music Entertainment Inc). He co-produced CyHi’s debut studio album “No DOS”, with feature artists such as Estelle, Jagged Edge, Kanye West, Travis Scott and other renowned producers and engineers. He simultaneously began his teaching career, instructing up to forty-five students per week and using his experience as a musician to guide his students through their musical journey. Each lesson is tailored to his students particular interests and needs as a growing musician. He also has four years experience teaching special needs of all kinds. His students are expected to not only understand their instrument, but perform regularly and find who they are as a musician. Brandon has, for the past four years, been consistently growing as an instructor, mentor, musician, and music producer. Students level 2+ will need “Hanon - The Virtuoso Pianist in 60 exercises”. *Book levels are determined by students personal experience and expertise. Beginners ages 5-9 should begin with the Primer Level. *If a student already has books they study, they are welcome to bring them to lessons for me to evaluate.